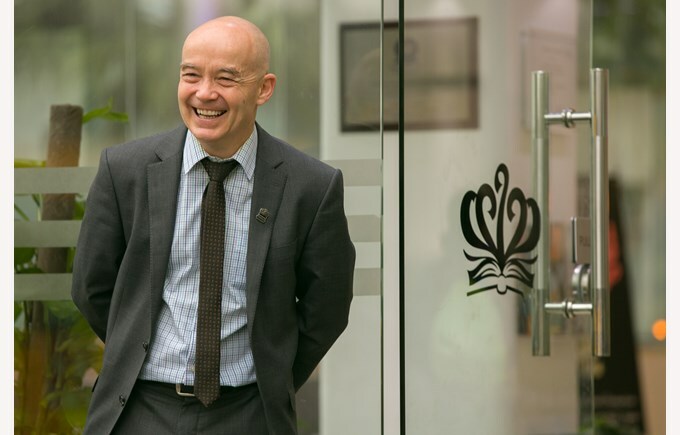 School Principal, Mr. Mark Thomas, talks about developing a lifelong love of learning and the thriving community that continues to grow at The British School of Guangzhou. 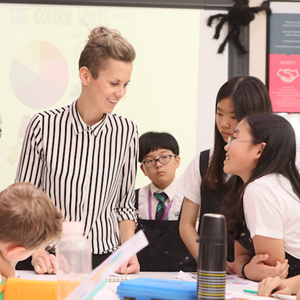 The British School of Guangzhou is a truly international school, with students from over 50 different countries. While many parents select our school for our impressive academic reputation, we understand that a truly world-class education is about much more than academic success. 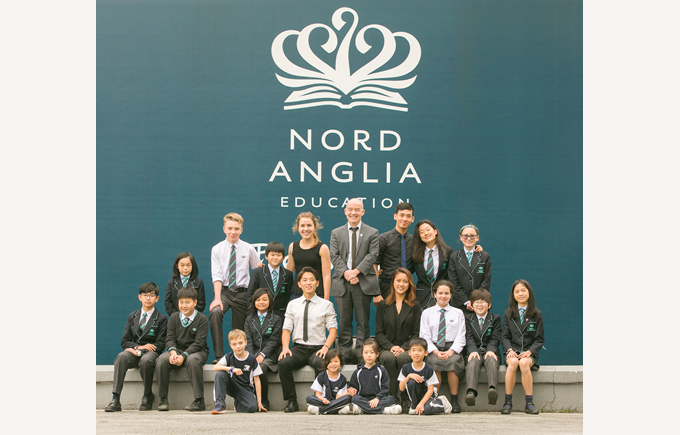 Our school is a member of Nord Anglia Education (NAE), a premium education provider with 61 international schools in 28 different countries. NAE's Global Classroom initiative provides our students with a unique opportunity to meet and collaborate with other schools from around the world. Our continued focus on 'Be Ambitious' also inspires them to become socially and academically confident. Our emphasis on five core values ensures that students develop a love of learning that will support them throughout their lives. I am proud to say our children leave us with a sense of confidence and an awareness of the world that is inspiring. Our teachers are dedicated professionals who place great importance on providing a broad and varied enrichment programme. 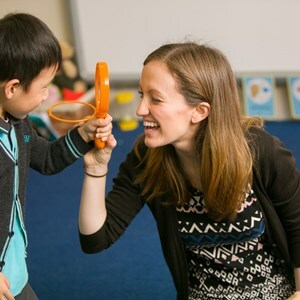 All of our teachers have access to Nord Anglia University, allowing them to work with their international peers, learn from each other and from a network of global experts. Our house system provides weekly activities that are both challenging and fun. Our comprehensive after-school activities and weekend sports programmes provide opportunities to practice skills or discover new talents. Our Primary students experience the challenge of learning to play an instrument and learn to read and write music as part of our primary instrumental programme. 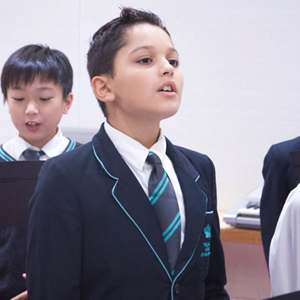 Students can also join our highly-sought after school choir and orchestra. Our quality teachers take every opportunity to take learning outside of the classroom, making the most of the local environment and wider community. Students from Year 3 upwards take part in our residential programme, with older students experiencing the challenge of the prestigious International Award. Our students take part in community service initiatives and are encouraged to make a difference in the world. Our one-to-one iPad and Mac Air programme integrates technology into the classroom from Year 4 upwards. This is a busy school with events taking place throughout the year on our two campuses, which helps to make us a truly special place to study. Our parents, staff and students are fully involved in school events ranging from International Day to Book Week, and help to place our school at the heart of the local community. 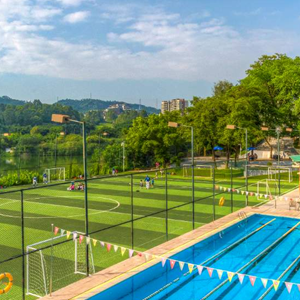 I would encourage families who are moving to Guangzhou to come and visit us and experience for themselves our international school environment, a place where your children can achieve their academic potential and have a great time as well. I am always happy to meet visitors in person and take great pride in showing you exactly why we are the school of choice for so many families.